WEST LONG BRANCH, N.J. (March 27, 2019)— Members of the infamous Monmouth Bench Mob have teamed up with Degree® Deodorant for a social media campaign launched during this year’s March Madness basketball tournament. Greg Noack ’17 and Dan Pillari ’18, who received national attention during the 2015-2016 basketball season for their creative sideline celebrations, are recreating their custom routines for promotional content being shared on the brand’s Twitter account (@DegreeMen). The series of Twitter promos, which began running March 19 and will run through the end of the tournament, is in partnership with Degree®—a brand dedicated to inspiring people to move more. Degree® tapped the former players to encourage fans to stay active from the sidelines and submit their own celebrations using the hashtag #BenchMoves. Pillari and Noack said that they hope March Madness fans spread their love and support for their favorite teams by carrying on the Bench Mob tradition of unique celebrations—whether that’s people being inspired to move from a bench or a couch at home. 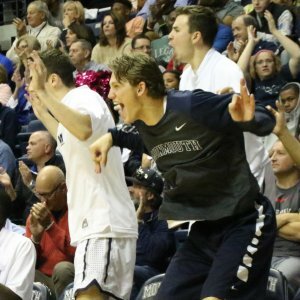 During the 2015-2016 basketball season, the Monmouth Bench Mob gained national attention for its elaborate sideline celebrations. 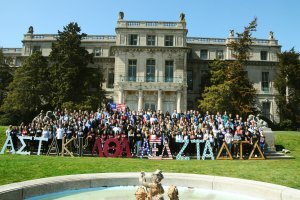 Featured in news outlets including USA Today, The Chicago Sun Times, ESPN, CBS Sports, The Washington Post, and Bleacher Report, the Bench Mob was dubbed the “most famous bench in college basketball.” That same season, the Monmouth men’s basketball team defeated five power conference opponents (UCLA, Notre Dame, USC, Georgetown, and Rutgers) and received votes in both the AP Top 25 and USA Today Coaches Polls for the first time ever. They finished the season 28–8 overall and 17–3 in MAAC play to win the MAAC regular season championship.